And no "true" Asian factions? Where's my samurai warriors, ninjas and kung fu monks, man? 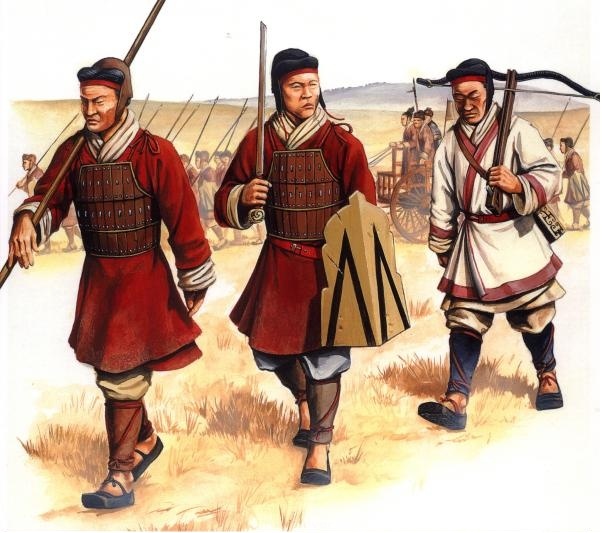 If we add the Chinese to the game, it shouldn't even have the ancient Warring States, Qin and Han dynasty armies that existed contemporaneously with ancient Greece and Rome. It should just be the modern-day PLA (People's Liberation Army) of the People's Republic of China. They should come complete with tanks, amphibious assault crafts, submarines, aircraft, cruise missiles and ballistic missiles, etc. OMG! THAT LOOKS SO MUCH BETTER THAN THIS, DOESN'T IT? As for the Japanese, they didn't even really exist in 272 BC (unless you count their bogus myths that push their line of emperors back into Japanese pre-history and their isolated Bronze Age). Therefore it shouldn't be Samurai, but giant robots! And Toyotas. Gotta have warriors riding in Toyota trucks. 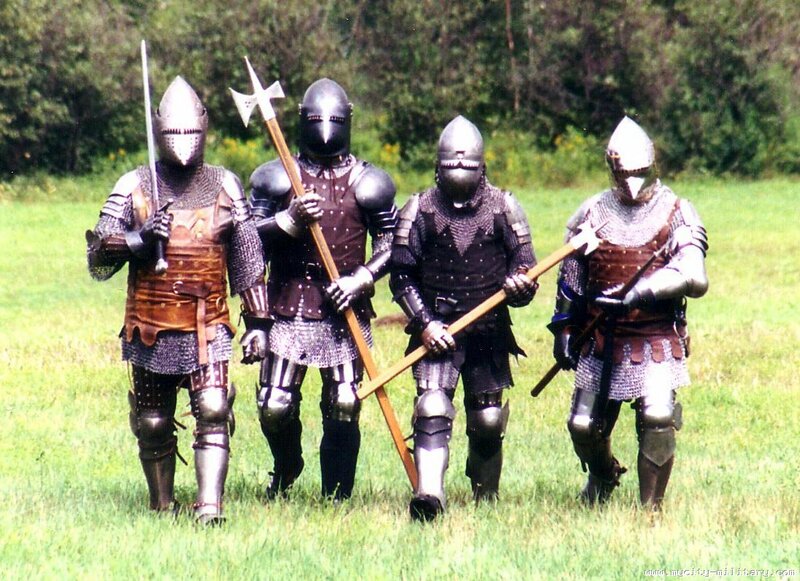 You guys were so proud to have revised some older units in 2.2 but you couldnt be bothered to add leather arm bands to roman units??? What is it with this mod for babies? The guy on the right looks like Cary-Hiroyuki Tagawa - better known by his real name, Shang Tsung! Last edited by Rad; June 11, 2016 at 03:01 PM. Exactly, I mean, what is this? A center for ants??? Apparently this is a mod for kids who can't read good. The guy with the crossbow? Holy crap, you're right! 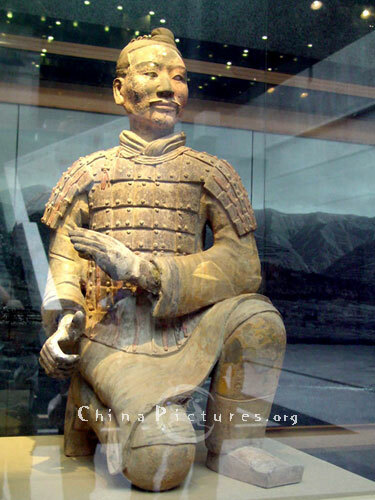 One of these days we'll find a Terracotta Warrior who looks exactly like him too. 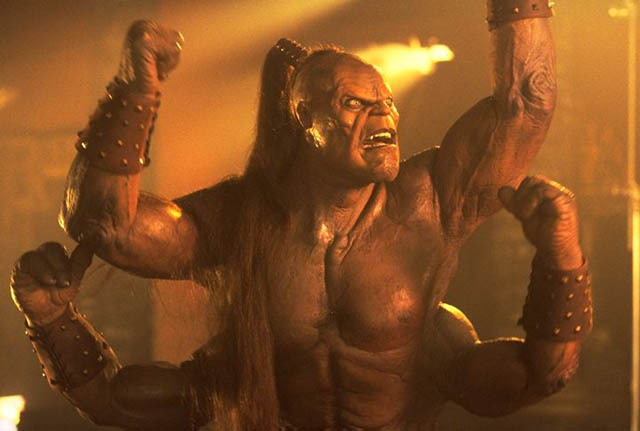 In addition to Shang Tsung, EB II should consider having an "elephant" level unit called "GORO". Just like Sauron in all the Third Age Total War submods, he should be a big, nearly invincible guy walking around the battlefield, smashing everyone's heads in. And breaking Johnny Cage's sunglasses. Last edited by Roma_Victrix; June 11, 2016 at 05:27 PM. He'd make a great restaurant waiter, that's for sure. He wouldn't be very friendly, but boy could he carry a lot of plates! They must add a katana-unit! Cuz the katana is the bestest sword EVER!! If u say else u is a racist! It must be an ELITE unit and it sound swoosch swoosch when they cut, and all die! Warriors can look like a ninja and be all cool and fast and u must make event "Samuraj comes from the shadows. And Asia. And he teach you" and then all generals have katana. Swoosch, swoosch! If he wants any tips, he better be friendly! We can't have katanas in the mod, they would cause frequent crashes due to their tremendous power. Indeed, recently I tried modding katanas into the game and their perfectly-forged-1000+-times Nippon steel was so effective that the animation graphics alone physically split my monitor in two from their sharpness. After that, all I could hear from the speakers was "DISHONARABU!!!". Before my monitor was destroyed though, I did catch my nippon steel users splitting a Hetairoi from head to toe clean through their armor with one swipe--after which my own monitor was split in two by the glorious Nipponese perfection. I'm glad I held off modding in the Nodachi. least you tried, like a true bushido man thing! My condolences for your monitor. It died for a good cause. Last edited by Ngugi; June 12, 2016 at 10:11 AM. From the game, we should get 10% GDP of any current nation occupying the geographical area that we conquer. What's the point of conquering if there's no real tribute? Why can i recruit new Family members/Generals? I wait very long for Cultural peace. But with the recruiting of generals/civil man i can reduce the Civil Aggresions after the conquer. I'm in turn 50 ith riomans and had only captured tarantum and rhegium? wtf??? Excuse me, sir, but READ THE OP, BECAUSE YOU'RE IN THE WRONG NEIGHBORHOOD, HOMEBOY. Last edited by Roma_Victrix; June 13, 2016 at 08:52 AM. Victrix I have to say that the final pic is so fabulous it made my eyes bleed..
Perhaps a spoiler tag would be better next time? The Carthaginians should remain Punic Phoenician in appearance (i.e. like their modern-day descendants, the Tunisians of North Africa and Lebanese of the Levant), but Hannibal's unit card in the game, and that of his father Hamilcar, should be depicted as sub-Saharan black Africans. Why? BECAUSE...REASONS...THAT'S WHY! WHAT ARE YOU??!! SOME KIND OF RACIST!!!!!!!!!!!!!!!!!!!!!!!!!!!!!!! Last edited by Roma_Victrix; June 15, 2016 at 07:07 AM. I'm still waiting for a "300" like movie about the 2nd Punic War. I expect it to be in 2.3's event scenes, I want to watch it before it hits the cinemas. Naturally, there will be a healthy dose of lorica segmentata, skinny girls shooting 150 pound bows, overabundance of blood, a few mutants here and there and LOTS OF SLOW MOTION SCENES. Last edited by Rad; June 15, 2016 at 08:59 AM. Steam obviously existed in the EB2 era. Different peoples had various forms of engines, including engines of war (catapults, scorpions and such like). Why come no one has steam engines of war? Why stop there? There should be entire units of nothing but steampunk soldiers with handsome top hats, fancy monocles that serve as spyglasses and miniature telescopes, powerful machine arms with grips that can crush plate armor and helmets, and steam-powered handcannons. Archimedes would pee his pants if he saw that in action. He'd simply toss his steam cannon design into the waste bin and call it quits. Last edited by Roma_Victrix; June 15, 2016 at 02:07 PM. CA's next game should be Total War: Steampunk. ...I shouldn't be posting that here, it's a great idea. Someone get CA on the phone, onward to royaltiiieees! I want a time-travelling feature whereby the Romans can be subdued with images of the world to come. Can you imagine? "The British... Empire? Those savages in the mud huts and woad paint? By Jupiter, that can't be right..."
This mod needs more Batman. And the Joker while we're at it!